Enhance your stay. Whatever the weather there's lots to occupy all ages across all our islands on both land and sea. 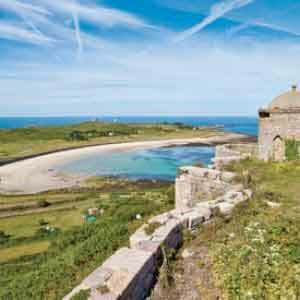 Jersey heritage pass - Make the most of your time in Jersey with a Jersey Heritage Pass, which gives unlimited access to 4 sites for the price of 3 and is valid for 7 days. The pass is valid at your choice of: Mont Orgueil Castle, Elizabeth Castle (inclusive of the Castle Ferry), Jersey Museum and Art Gallery, Maritime Museum & Occupation Tapestry Gallery, Hamptonne Country Life Museum (May-Sep) and La Hougue Bie. From £32.45 per adult or £20.95 per child. Child ages 6 to 16 years. Children under 6 are free. Entry to Jersey war tunnels - A poignant reminder of the German Occupation during World War II. An underground collection of galleries that detail the occupation and the eventual liberation. Travel to/from the war tunnels is not included. 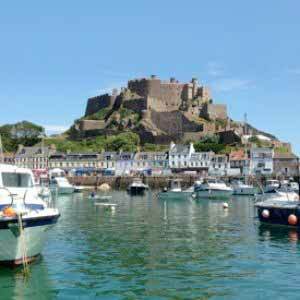 Full day island tour - You will see the island's stunning coastline and the experienced driver guides will tell local stories about Jersey. There is a lunch stop (additional expense for food). Pick up and drop off from your hotel is included. Day trip to St Malo (Apr-Sep) - After departing Jersey at 0915 just an hour’s journey brings you to the beautiful walled city of St Malo in France with its fascinating maritime history. Explore its ancient cobbled streets, quaint shops, coffee shops and restaurants where you can relax and enjoy lunch (own expense) before returning to Jersey at 1730. Passport required. Golf at Les Mielles Golf and Country Club - Pre-book a round of 9 or 18 holes at Les Mielles Golf & Country Club’s challenging18 hole championship golf course in beautiful St Ouen’s Bay. No handicap certificate is required, although players should have a decent golfing ability. Golf clubs are available to hire from £26. Afternoon Tea - Pre-book a traditional afternoon tea package at the Radisson Blu Waterfront where you can enjoy afternoon tea on the terrace or brasserie overlooking Elizabeth Castle and the Marina. Gin tasting and dinner at the Bella Luce - Visit the atmospheric cellar lounge at the Bella Luce Hotel for an introduction to the history of gin and to the Bella small batch distillery. You’ll then have the opportunity to taste a Wheadon’s gin and tonic along with a variety of London Dry style gins followed by 2 course dinner. Available every Wednesday and Friday evening. 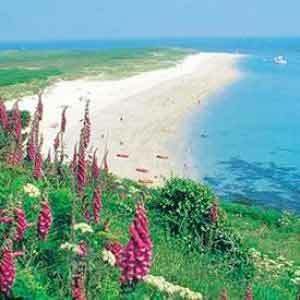 Day trip to Herm - Travel by ferry from Guernsey to the neighbouring island of Herm. You’re free to explore at leisure before enjoying lunch at the Mermaid Tavern. Transfers to/from port are not included. 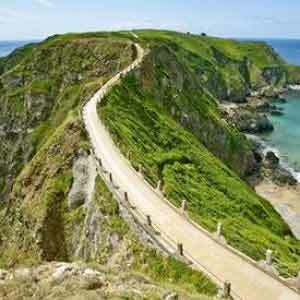 Day trip to Sark - The Island of Sark is truly unique and well worth a visit - if only for just one day. Alternatively, the tour is available from £75 with carriage tour & gardens; or from £80 with lunch at Hathaway’s Brasserie. Transfers to/from port are not included. Guernsey Literary & Potato Peel Pie Society themed walking tour - This self-guided walk is free to download as an audio guide or as a one-page route map, from VisitGuernsey.com. 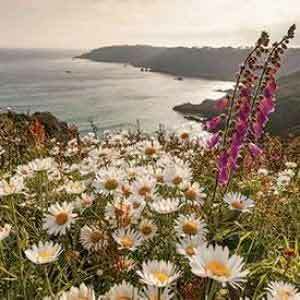 The walk explores St Martins, where characters from the novel and film lived, as well as the south coast cliffs, which are dotted with German Occupation remnants. Other local landmarks referred to in the book and film, include Sausmarez Manor, Calais Lane and La Bouvée.